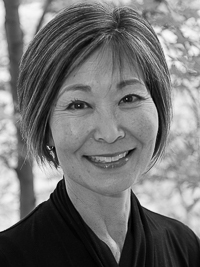 Head Instructor Sara Yamasaki is a writer, multi-sensory learning specialist, and certified teacher with over 30 years experience teaching students from the elementary to graduate school levels. She is trained in the Slingerland® Approach, Lindamood-Bell® Learning Processes, and Wired for Reading. She has a Master of Arts in Teaching English, specializing in composition and rhetoric. 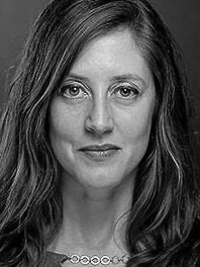 She is a 2015 recipient of the Hedgebrook Writing Residency, with poetry published in Calyx and Echoes From Gold Mountain, essays in The Kyoto Journal, Tikkun, and Crab Creek Review, book reviews and articles in the International Examiner, and is a monthly contributor to New York Spirit. She believes everyone has an authentic voice, everyone has genius, and everyone can write. Writing Instructor Peggy Sturdivant facilitates writing workshops for all ages throughout Seattle, including Writing for the Moment at Cancer Lifeline and is founder of the Ballard Writers Collective. She curates the longtime reading series, It's About Time, a welcoming venue for new and experienced voices. She has worked in educational outreach, is co-author of the non-fiction book, Out of Nowhere, and writes a weekly column for a local publication. Peggy believes, "It takes a group to raise a writer." Writing Instructor Linda Dodge is a freelance writer who has worked as a writing consultant for both University of Washington Bothell Campus and the Northshore School District. Linda works privately with writers of all ages with all types of writing. She specializes in writing personal experience essays/personal statements. Reading a piece for her is about connecting and feeling the writer’s message. She believes original ideas and personal experience bring out the voice and writer in all of us. Writing Instructor August Evans has been teaching writers of all ages for more than a decade, and is the founder of the "In Search of Duende" series on Fanzine and the "Blackcackle" series on Entropy. She believes, like Grace Paley, that everyone is eloquent when writing their own story. Writing Instructor Mark Holtzen is the author of the local picture book, A Ticket to the Pennant. He writes books for children as well as personal essays. He taught elementary school, including science, for many years. He believes that sharing his own messy creative process can help other writers uncover their own stories and that sharing our stories can empower us to learn about one another and ourselves. Writing Instructor Corbin Lewars has been teaching writing for two decades and holds a Master's in Education. She teaches or has taught at the Richard Hugo House, national conferences, Seattle public schools, homeless shelters, and colleges. She is the author of several books and has been published widely in anthologies and journals. While the editor of Verve, a Seattle women's magazine, she realized she had a gift for midwifing people's stories and has continued to do so as a writing coach and developmental editor for clients in Seattle and afar. Writing Instructor Crescent Imani Novell is a poet, playwright and recent winner of the Nickelodeon Writing Program where she’s being developed as a professional writer for television and film. She has a life-long, passionate dedication to crafting voice and story for herself and countless students throughout her career. 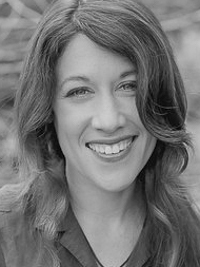 Writing Instructor Michele Bacon writes fiction for young adults and children. Teens and tweens have enjoyed her young adult novels, Life Before and Antipodes, both of which are contemporary realistic fiction. Michele works privately with writers to find their voices and tell their stories; she believes everyone has rich stories within them, and she wants to read yours. 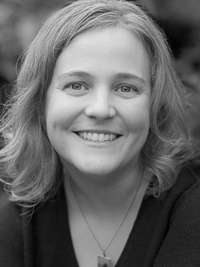 Writing Instructor Lisa Cooper is a writer, filmmaker, and teacher. She evaluates writing for Seattle's Franklin High School and teaches The Hero's Journey, a creative writing workshop at the Monroe Correctional Complex. She has a Bachelor of Arts in English Literature and Film and works full time in the film industry. She believes writing empowers and heals.